Criminal Justice is offered through the Division of Behavioral and Social Sciences in the College of Humanities and Social Sciences. The program offers high quality upper division courses and advisement designed to prepare students for a wide variety of careers related to Criminal Justice as well as providing graduates with a solid foundation for postgraduate study. The experiences assist and encourage students as they continue the process of understanding the nature of their personal Christian commitment and seek to integrate these insights into their academic disciplines and their vocational choices. What makes an OBU Criminal Justice degree special? 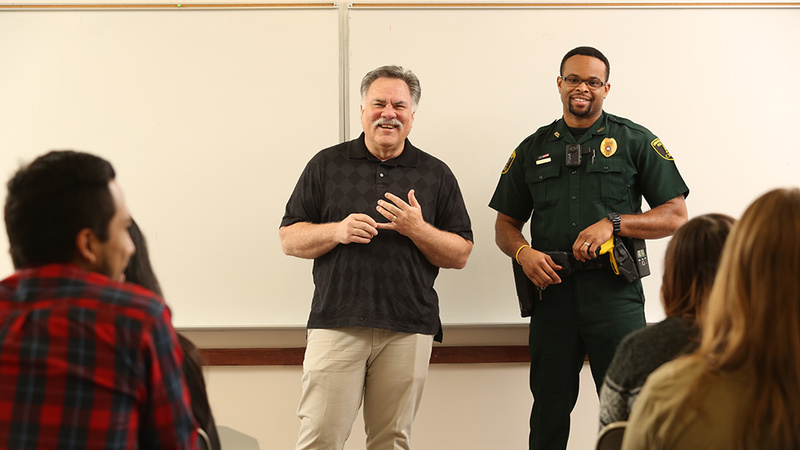 Criminal Justice courses at OBU are taught by a professor who brings nearly 30 years of experience in the field, from entry-level jobs to senior executive positions in a variety of jurisdictions across the country. Students will have the opportunity to learn about the practical applications of knowledge as they prepare for their future. OBU is committed to preparing Criminal Justice graduates for positions of leadership in the field of Criminal Justice. A degree in Criminal Justice provides an excellent foundation for students interested in pursuing advanced degrees in law and other graduate programs in Criminology and Criminal Justice. What can OBU graduates do with a degree in Criminal Justice? This a new program at OBU, and students have not yet graduated with this degree. You can be one of the first to graduate and begin a career with your Criminal Justice degree. Learn more about our Behavorial and Social Sciences faculty.